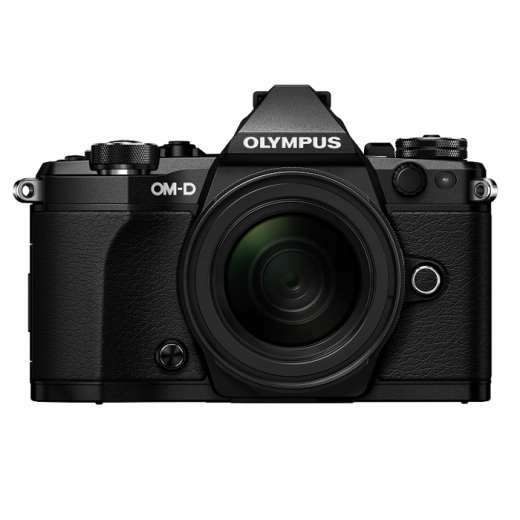 The Olympus OM-D E-M5 Mark II with 12-50mm f3.5-6.3 lens is built around a 16-megapixel 4/3 LIVE MOS sensor and the company's most powerful 5-axis in-body Image Stabilisation system yet, to deliver blur-free stills and stable video footage at all times. The E-M5 MK II is capable of delivering 40-megapixel images using a new composite option that uses clever sensor shift technology for when the highest level of detail is required in your stills, whilst the new Movie Mode offers 1080p Full HD movie recording in a variety of frame rates - 60p, 50p, 30p, 25p, or 24p. Highly portable and weather-resistant, the camera features a magnesium-alloy body with classic OM retro-styling, manual control and a 3.0" touchscreen that's tiltable 180°. The Olympus 12-50mm f3.5-6.3 ZUIKO Digital ED lens is ideal for movies, portraits, high-quality macros and wide landscape shots. This versatile, compact lens comes with a new smooth, near silent electromagnetic zoom to ensure fast and quiet AF, making it perfect for budding movie makers and photographers. The lens also features a special AF-lock button (L-Fn) which prevents the camera from focusing on the wrong subject by mistake. Should something suddenly come between the lens and your intended subject, you simply push this button to temporarily suspend autofocus until it's moved out of the way. The lens is equipped with ED (extra-low dispersion) glass and aspherical lens elements to ensure superior sharpness and colour correction by minimising colour aberration. Operating environment -10 ~ +40?